It is hoped that routes like Prometheus Unbound, The Wall Within and Heaven Walls will get re-equipped at some point. Prometheus Unbound is very close to a major rock fall. This last great feature of the Lost Worlds was climbed by James McHaffie, Alex Mason and Mark Reeves. It very quick fell down and took most of the side of the Mordor with it! A massive rock fall has occurred left of The Coolidge Effect, it has cause a lot of damage but most routes are still climbable. 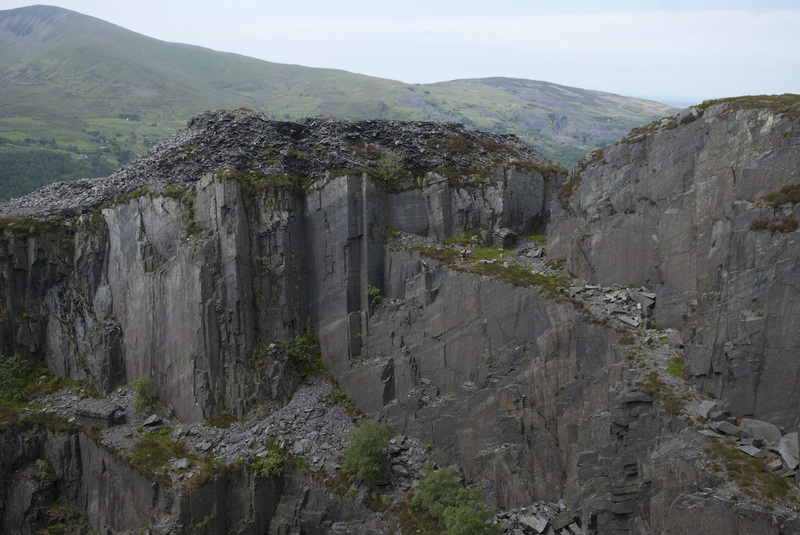 Awesome searing crackline on the big blank wall left of The Dinorwig Unconquerable. Dinorwig Unconqerable – new bolt belay, you now have the option of lowering off. The Long and Winding Road – new bolts, extra one to protect the ‘turbo glide’ as lassoing the peg prooved un-popular (!) and the peg is poor now, I’ve left it in though cos it’ll add a bit charachter as you ascend, there is scope for the odd small wire placement too. The tripartite crack system on the face to the left of Pain Killer. Start 2m left of the corner next to a large block, climb leftwards on hand jams to reach good holds and the base of the three large cracks. Ascend the cracks using a variety of jamming techniques to a lower off. NB – many cams necessary including larger sizes (BD 4,5&6), cams skid as most of the cracks are flared. Enjoy! James Taylor and Andrew Cherry 20/7/2014.